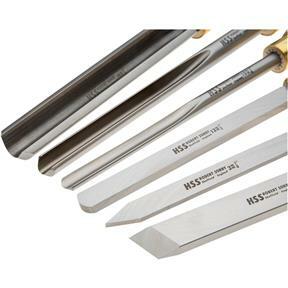 With a heritage dating back over two hundred years, Robert Sorby is the world's premier manufacturer of specialist woodworking tools. This set is perfect for the professional turner as well as the beginner. 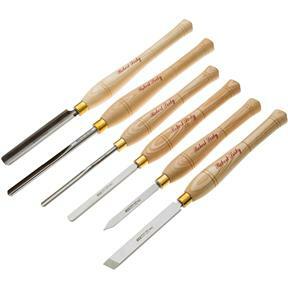 Includes a 3/4" roughing gouge, 3/8" spindle gouge, 3/8" bowl gouge, 3/4" rectangle skew, 1/8" standard parting tool, and 1/2" round scraper. I purchased this set as a Christmas present for myself, very pleased with it.